Congratulations to the University of Auckland for daring to allow Don Brash on to its campus to debate the case for free speech. I use the word "daring" with more than a little irony. That's because it is ridiculous in this age — when Generation Z is arguing for companies to allow them to "follow their passions" in the workplace — that at the same time, US-style culture wars are infiltrating NZ campuses to the point where some students of the next generation to hit the workplace want to suppress views they find antithetical to their own. In a fast-disrupting age, what the New Zealand business environment needs is young people who are comfortable with ambiguity and can engage and challenge views they find confronting. Not those with closed minds who can't even debate property rights (which is what Brash is basically on about). Or whether New Zealand should have Māori wards at council level. Or Māori seats for that matter, at a time when (finally) the mainstream political parties are ensuring people with Māori heritage are well represented among their candidates. These should not be confronting issues. Anyone who knows Brash well from politics — or from his time in business — knows he is a courteous person. 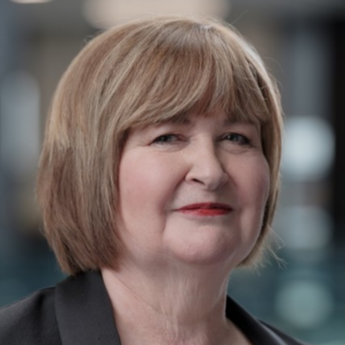 The fact that the Vice-Chancellor of Massey University, Jan Thomas, could effectively ban him from talking about his experiences as a former leader of the National Party (and also the Act Party) verges on Jesuitical behaviour. Brash wasn't going to Palmerston North to talk about Hobson's Pledge, or his views about the implications of the Treaty of Waitangi. But so what if he was? All manner of politicians, from former Labour Leader Helen Clark, whose Government introduced the foreshore and seabed legislation, to Deputy Prime Minister Winston Peters, whose NZ First Party wants to abolish the Māori seats, have argued in this space. But I am betting that Thomas would not have the courage to take on either of those politicians. On Thursday evening, there were extraordinary sights at Auckland University as the protesters tried to stop the former Reserve Bank governor from taking the affirmative side in a debate that PC culture was shutting down freedom of speech. Disclosure: I was there for the negative team, drawing the short straw in much the same way that I recently argued Donald Trump was the remedy for global trade in a law firm debate. We were warned the protesters would use a megaphone to drown out Brash, who was to lead the affirmative side. So we employed tactics to make sure Brash got to speak, by reversing the speaking order to put Brash last so the audience would get to hear the argumentation. The arguments were heard and it was a good debate, if rather disjointed in that two negatives were heard ahead of the final positive (Brash). But it did mean the debate wasn't scuppered right from the beginning. Intriguingly, the audience were so riled by the protesters that they made it clear they should say their piece and leave. Which they ultimately did. Fittingly, the fact that we were able to get through the debate gave quite a fillip to the university's debating society, which wants to hold more debates to thrash out the Big Issues that confront society today. The proposition we debated was that "this house believes that PC culture has gone too far to the point of limiting freedom of speech". "PC culture" is a pejorative term. When it comes to freedom of speech, the countervailing argument is that "speech has consequences and people should take these into account when deciding what to say and how to say it". The theory — in our multicultural society — is that recognising consequences helps to provide a safety valve which enables different ethnicities and cultures to rub up against each other without leading to an eruption of violence. But as Soren Kierkegaard argued, the real problem is that people demand freedom of speech as compensation for the freedom of thought they seldom use. We have laws to protect free speech. Section 14 of the New Zealand Bill of Rights Act says, "everyone has the right to freedom of expression, including the freedom to seek, receive and impart information and opinions of any kind and in any form". Section 61 of the Human Rights Act makes it an offence to express "threatening, abusive, or insulting" opinions likely to "excite hostility" or "bring into contempt" any group of persons on the grounds of "colour, race, or ethnic or national origins". The real issue is that the PC culture wars have been superseded by something much more dangerous. That is groupthink — as exhibited by the Prime Minister, who made the blanket claim about the visiting alt-righters Lauren Southern and Stefan Molyneux, that New Zealand was "hostile to their views" — and moral cowardice. It was F. Scott Fitzgerald who said the test of a first-rate intelligence is the ability to hold two opposed ideas in mind at the same time and still retain the ability to function. The real issue is the lack of intellectual engagement by some young people who ought to know their ground, or quickly find it. But mostly, it is moral cowardice that is standing in the way of freedom of speech. The kind exhibited by Thomas, in my view, who did not simply call the police on the gutless Facebooker who suggested bringing a gun to the event at which Massey's politics club wanted to host Brash. My conclusion: it is not PC culture that is stopping freedom of speech, but closed minds, a failure of courage when it comes to confronting stances — including those which involve property rights — and the kind of groupthink which suggests all New Zealand takes a viewpoint, when clearly it doesn't.